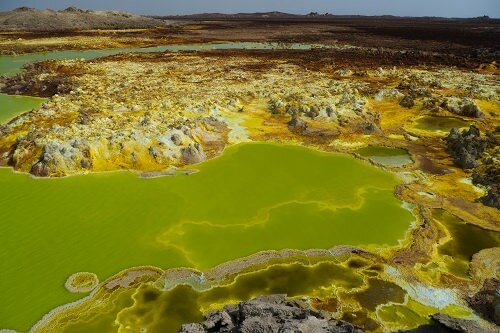 The Danakil Depression is a breathtaking place that I’d like to visit one day, but unfortunately it’s extremely dangerous. Situated in the Afar Region near the border with Eritrea and Ethiopia where there’s much tension, it isn’t the safest vacation destination. The UK Foreign and Commonwealth Office advise against all travel to any of Eritrea’s border areas.